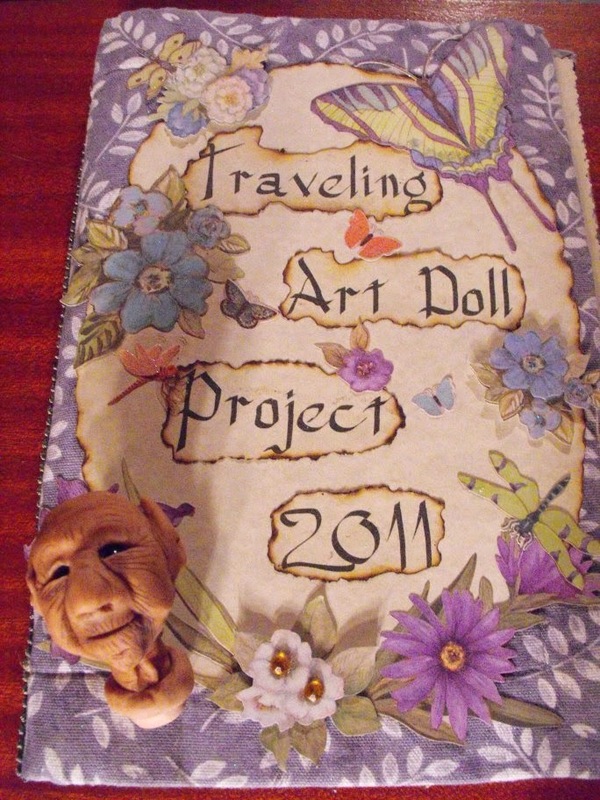 Back when I first joined ArtDollsOnly I was privileged to be a part of the Traveling Art Doll Project. 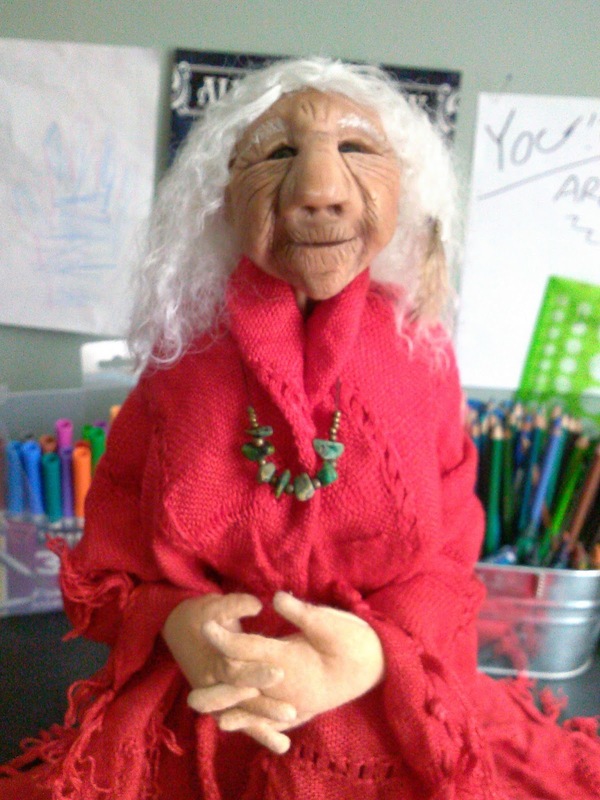 That is where one person starts a doll out and others in the group each add their own touch to the doll and journal the process. Then the doll comes back to the owner. and the other ladies added their magic and she took on a very 60's "old hippy" vibe. I have a lovely journal/scrapbook of Bent Willow Woman's life and journey complete with photos and comments from the lovely ladies that helped her along her way and it means the world to me. 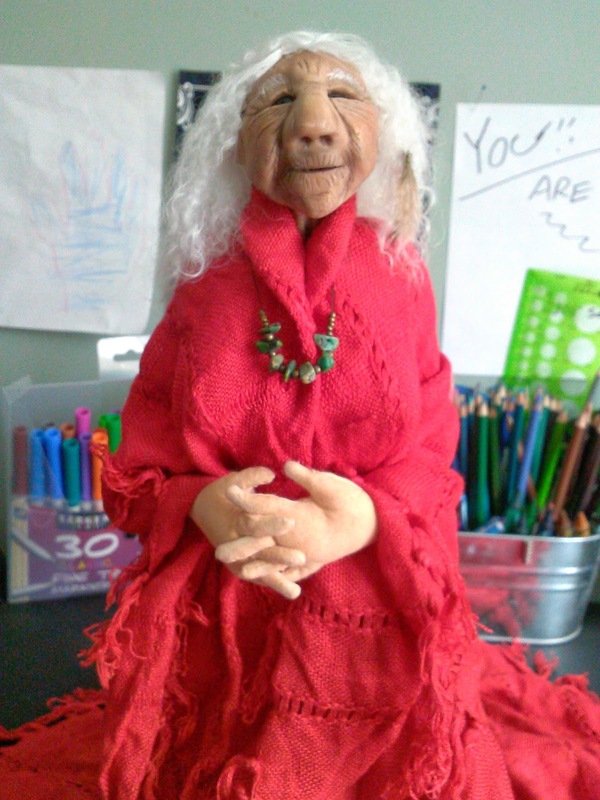 But after sitting around in my studio for a few years, Bent Willow Woman decided she needed a new look. One that projected who she was today. So we wandered off to the second hand store and looked something to re-purpose for her new outfit. 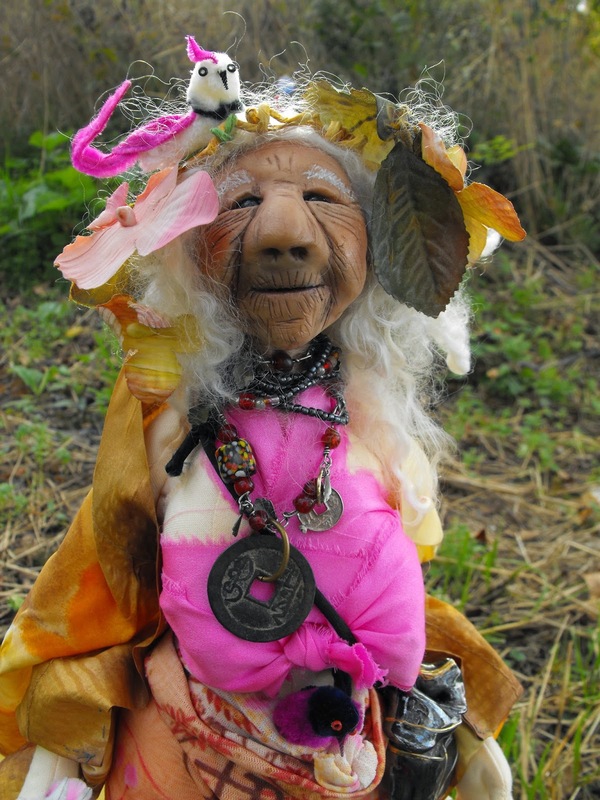 It took some searching, but she Bent Willow Woman saw the red scarf in a basket in the corner, she just knew that was for her. We took it home and she was right! 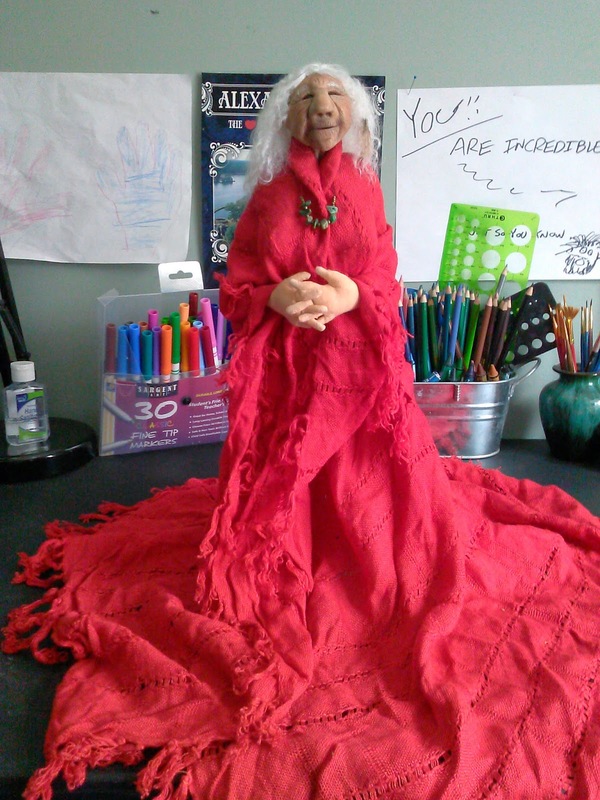 The scarf transformed into a lovely dress that fit Bent Willow Woman perfectly. We added a lovely necklace and some feathers for her hair and the look was complete. There was just one thing left to do. She arrived yesterday and has been given a special place in the living room where she can look out the window and watch the deer grazing in the yard. She gets to see the sun set and the moon rise over the mountains.